Cedar Garden - Underberg Accommodation. 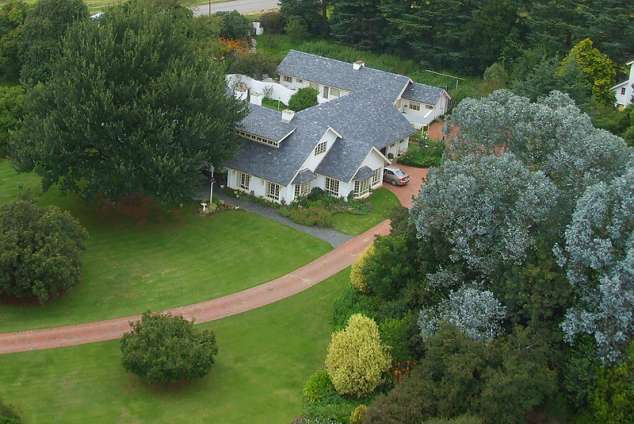 Cedar Garden is a spacious, well-appointed home set in a large cared for garden in the popular village of Underberg. Our centrally upmarket Bed and Breakfast (or self catering) is the perfect base from which to explore the Southern Drakensberg. Enjoy the heart of South Africa's most scenic dairy farming area with cool, snowy winters or the sunny, temperate days of summer, spectacular autumn colours and blossoms in spring. We invite you to come and enjoy this stately home and be rejuvenated by our magnificent countryside. The hustle and bustle of city life will quickly be forgotten as you make yourself at home in our tranquil and picturesque setting. Cedar Garden has 12 bedrooms, double or single beds are available and linen, towels and toiletries are provided. To keep the winter chill at bay, electric blankets, heaters and hot water bottles are available. The lounge has a fireplace and DSTV. After a day of adventure and exploring, return to the efficient, caring hospitality and a well deserved good night's sleep at Cedar Garden! 6377 page views since 07 Oct, 2014.